Shopping is easy with Evok, just follow these simple steps! 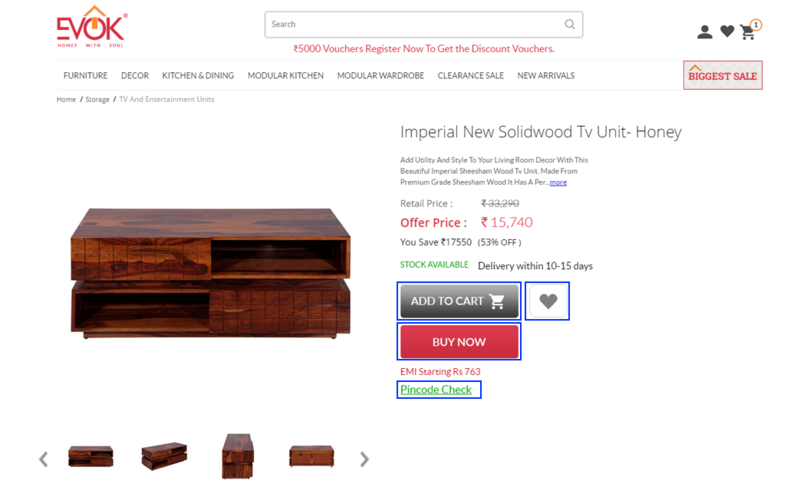 Once you have found the product you wish to purchase, confirm the PINCODE and click ADD TO CART or BUY NOW button. You can also add the product to wishlist by clicking on heart shape and buy it later. 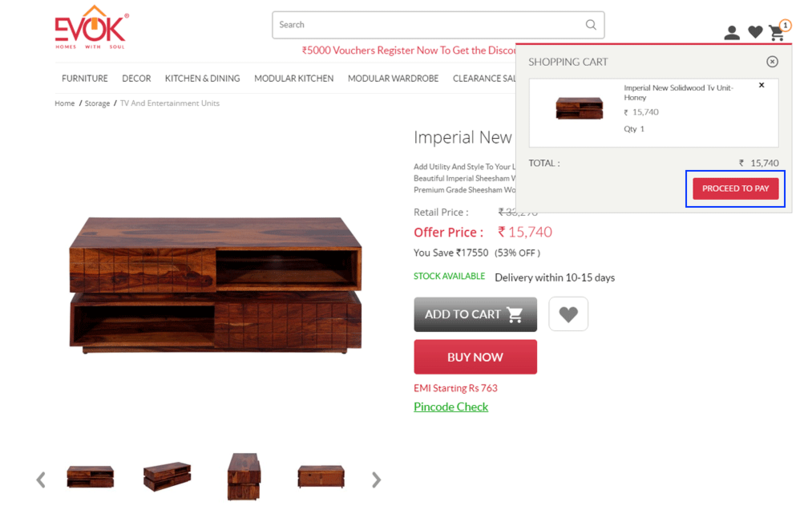 Once you have added your product to the cart, you will get a pop-up window on top with the confirmation message. You can click PROCEED TO PAY or CLOSE the pop-up and continue shopping. Check the items purchased. Here you can also edit your purchases by clicking on ADD symbol. 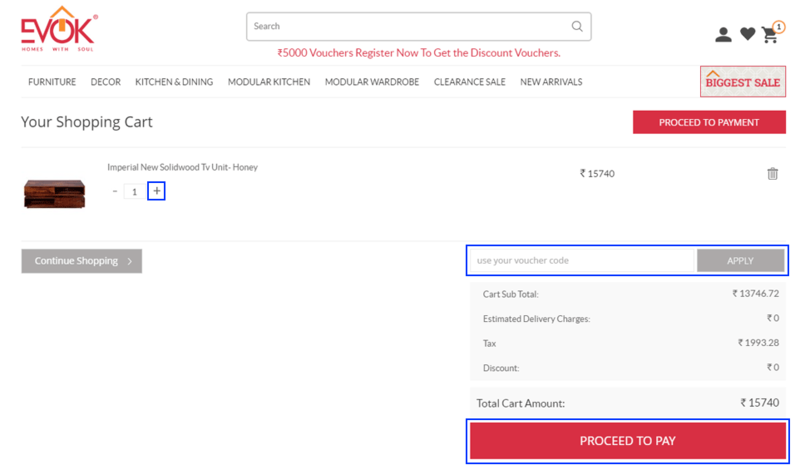 You can also fill in any discount voucher codes before clicking on PROCEED TO CHECKOUT. 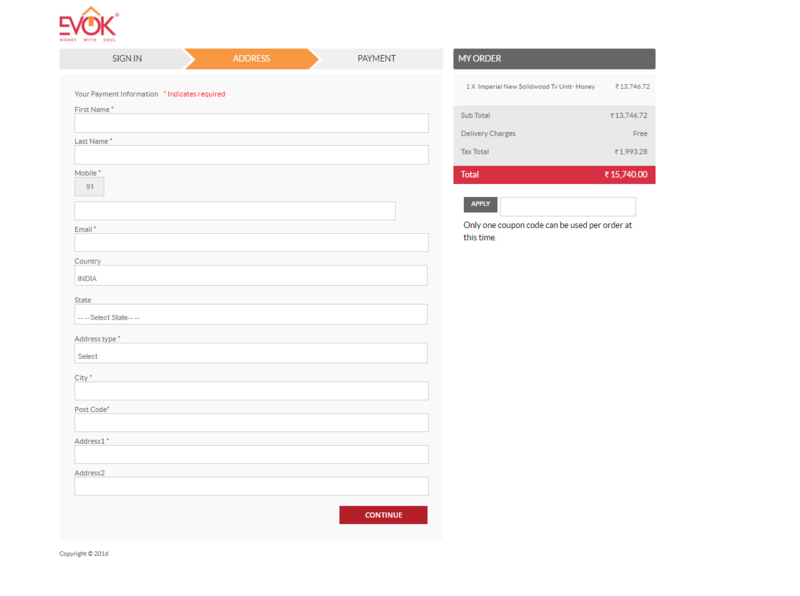 If you are an existing customer, you will be prompted to SIGN IN at this stage. If you do not remember your password, click Forgot your password? and follow the instructions provided. 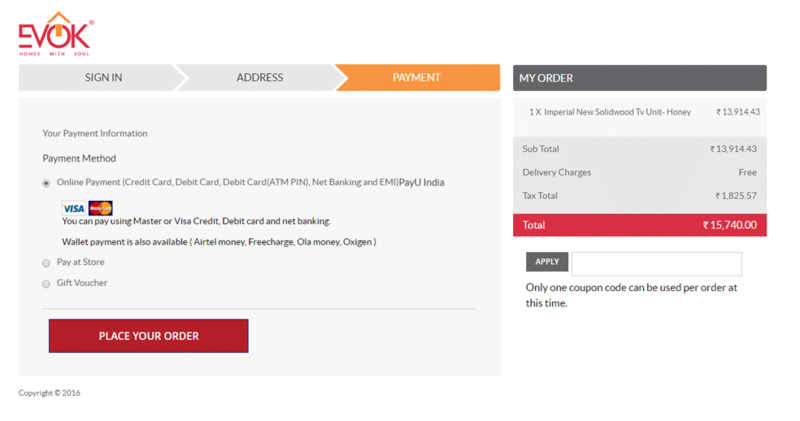 If you are a new customer, you can choose to check out as a guest or if you do choose to create an account, you will be able to proceed through checkout faster during your next order, track the status of your order(s), and store your addresses and personal details for future purchases. Select your mode of payment & click PLACE YOUR ORDER.